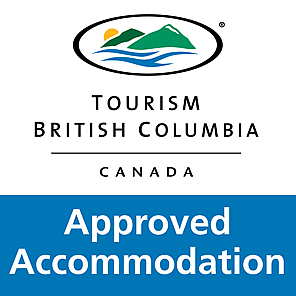 Top 10 Canada B&Bs by BedandBreakfast.com®. GOLDEN DREAMS B&B is recognized as a top inn around the world providing the best travel experience. BedandBreakfast.com is the most comprehensive global site for finding bed and breakfast properties around the world, with more than 12,000 properties worldwide representing nearly 75,000 rooms. Each November, BedandBreakfast.com names 30 overall top inns based on the quality and quantity of traveler reviews from the past year. Starting in December 2011, BedandBreakfast.com decided to recognize more of the world’s best inns and began a monthly awards program to honor 10 more B&Bs every month in a special category. “It’s a true honor and blessing to be chosen for the Best B&Bs award, and we are thrilled that our hard work has set us apart,” says Ann Spence, Golden Dreams B&B innkeeper. Serving GREAT B&B memories for over 25 years! With our true west coast hospitality, be surrounded by authentic welcoming decor, and savour Whistler’s healthiest breakfast featuring homemade jams/syrups. Feel pampered in the OUTDOOR HOT TUB with mountain views, or the private guest living room with wood fireplace. Inviting “THEME” rooms with cozy featherbeds, unique country-style “Elmira Stove works” guest kitchen, even a former National Ski Team coach in-house! Just one mile to ski lifts, village restaurants, and shops. DISCOUNT ski passes and equipment rentals. Great trailside location! BedandBreakfast.com, based in Austin, Texas, is the most comprehensive global site for finding bed and breakfast properties, with more than 12,000 properties worldwide representing nearly 75,000 rooms. It is owned by HomeAway, Inc., which operates the world’s leading online marketplace of vacation rentals. BedandBreakfast.com helps travelers find and book the ideal B&B or small inn through informative descriptions, photos, and more than 210,000 consumer reviews. 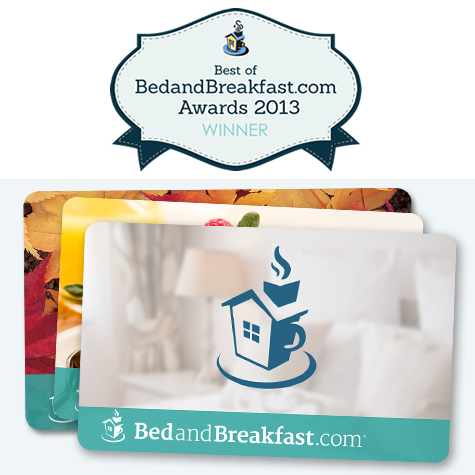 BedandBreakfast.com offers convenient gift cards welcomed at more than 4,000 B&Bs in the United States and Canada, with no restrictions or blackout dates. High resolution photos available upon request .